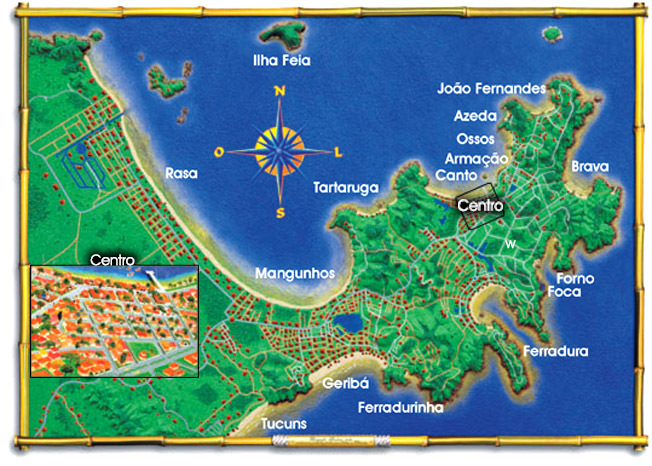 Originally settled by European pirates and slave traders, the town of Buzios began as a quaint and quiet fishing village. It's immaculate, serene beauty was a well-kept secret from most, until a discovery by the French star Brigitte Bardot in 1964 made popular the village, transforming it into the spectacular beach resort it is today. Only 2 hours from Rio de Janeiro, Buzios, which has been nominated as one of the top-10 most beautiful places in the world, is an absolute must-see. Over one hundred inns and hotels, from the most luxurious to the simplistic and small, await your stay, making the beautiful white-sand beaches, of which there are over twenty, easily accessible to all. Also scattered throughout the area are an abundance of restaurants-Japanese, French, Italian, Moroccan, Thai and Brazilian- and an array of live music shows, bars, night clubs and the Rua das Pedras (Street of Stones) in downtown Buzios, which ensure a thriving, electric night life. Local and international boutiques and art galleries with unique crafts and jewelry also are dotted along the shores. Because Buzio's breathtaking beaches are all fairly isolated from one another, differing characteristics make each beach unique, giving it a personality of its own. The Manguinhos beach has calm, soothing waves which allows for many to learn to sail and windsurf. The Geriba Beach, is a long stretch of land and water, filled with surfers, boogie-boarders and wind-surfers. The Ferradura, or "Horseshoe" beach, is closer to town and is the ideal place for snorkeling. The João Fernandes and João Fernandinho beaches are the busiest and most popular of all, bursting with cafes and packed with beautiful people showing off their tans. 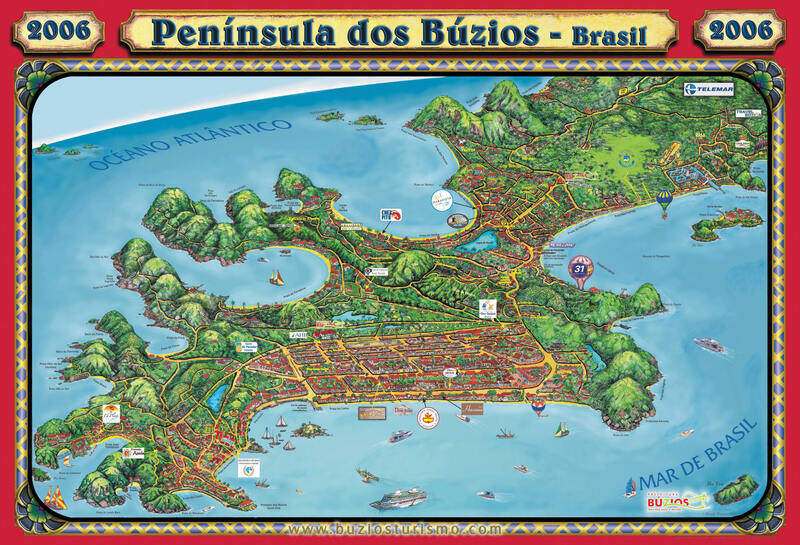 Buzios now offers a variety of quality lodgings to choose from. Stay at a small Pousada or a more typical hotel. Click on the link to view more of the lodging options. Rua das Pedras: if you're looking for a great night out, Rua das Pedras is hands down the place to go. This 2,000-foot-long street has a different bar, nightclub and restaurant visible with every step you take. Most locations are open well into the early morning hours during busy season. If you take a look in our Buzios Dining section, you will find several locations for nightlife there as well. Amongst those locations, Zapata is a popular Mexican bar and disco as is Guapo Loco. The Ponto Bar is ideal if you are in a more relaxed mood and want to savor some delicious Japanese food.